Driving is a valuable skill, but many people find the idea of taking driving lessons to be quite daunting. This is why, when it comes to learning how to drive, you want to know that you are working with attentive, professional instructors who will put you at your ease and provide tailored tuition that is perfect for your needs and experience level. That is exactly what you will receive when you come to us. As one of the most highly regarded driving schools in Glasgow and throughout the surrounding areas, we are dedicated to helping our clients become the best drivers they possibly can be. Whether you are brand new to driving, want to take a Pass Plus course to reduce your insurance premiums, or are an established driver who wants to brush up on their skills or learn new ones, we can offer the professional tuition you need for a very affordable price. With more than 35 years of experience in the business, and a team of fully qualified and trained instructors on hand, we are one of the safest choices for anybody who is in search of comprehensive, informative driving lessons. We are also one of the only driving schools in Glasgow to offer a choice of male or female instructors. Our instructors are not only great at what they do; they are also caring patient and understanding, so even the most nervous driver can feel at ease when taking lessons with us. We help you to learn at your own pace and in a style that suits you, and we’ll never put pressure on you. We understand that our students need to be able to fit their driving lessons around their life, which is why we offer a convenient and flexible service to you. If required, we can come and pick you up from a location of your choosing to start your lessons, so you can take your lesson straight after school, work or from home – whatever is easiest for you. Whatever your skill level, whatever your requirements, we are ready to offer you the lessons you need to become a confident, knowledgeable and safe driver. 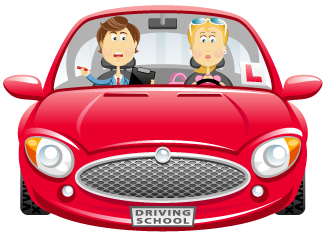 As long as you are over the age of 17 and have at least a provisional driving license, we are ready to provide you with the instruction you need at a price you can afford. Just contact us for further information or to arrange some lessons.